enough to sell your product. Now, that might make you feel like jumping into that well. But don't just yet. How to get a competitive edge. I won't charge you one cent. Gives your prospects a reason to buy your product. And to buy it from you rather than your competitor. Breaks through all the clutter ... grabs your prospect's attention ... and turns him or her into a customer. Puts daylight between you and your closest competitor. Well, yes and no. 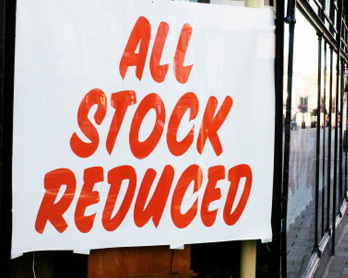 If you've got better prices than your competitor, you don't need to hire a copywriter. All you really need is a big sign in your window. Heck, your brother-in-law could fix you up with one of those. But you can bet it won't be long before your competitor sees your sign and lowers his price. Then you'll have to lower yours. And so on until you're both out of business. So unless you can count on always having a lower price and still making money, competing on price alone is pretty risky. Because there's always somebody out there who's willing to make something cheaper and sell it for less. Do you want really to compete with that guy? What about location? Customer service? Free lollipops? Any of those might help give you an edge. If that's what your customers care about. And as long you're confident your competitor doesn't have a better location, better customer service or better lollipops. Simple. You just figure out who your potential customers might be. And what they're looking for. Then you give them a good reason to buy it from you rather than your competitor. What if you're convinced that your product is just like all the others on the shelf? Your business no different than the one down the street? Re-invent your product or your business in hopes of coming up with what your customers might be looking for? Close up shop and go to work for your father-in-law? Launch a slick advertising campaign? Well, that might work for a while. But eventually you'll be back where you started. Only a lot poorer. Ready for that well now? You won't need it. Just read on. Inside almost every product and almost every company is an inherent advantage over its competition. And I'm 99 44/100 percent sure that's true of yours. You've just been too close to it to see what that advantage is. And you certainly wouldn't be the first to do that. 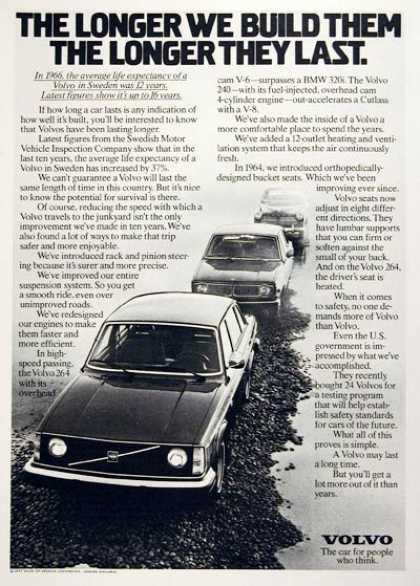 When Volvo first started trying to sell cars in this country, the advertising emphasized their durability. But back then most Americans traded cars every couple of years. Why would they want a car that lasted a lifetime? Needless to say, Volvos were selling like leftover lutefisk. The scent of failure prompted Volvo to take another look at their cars. When they did, they realized the same thing that made them durable made them extremely safe. And Americans cared about safety. Enough of them, anyway, to make Volvo one of the leading imports. Volvo didn't and neither do you. They didn't change one thing about their cars. Just the way they were selling them. In other words, they repositioned their product. Who is this guy? And what's he got against copywriters? Well, my name is Jon Saunders. And, believe me, I've got nothing against copywriters. After all, I'm one myself. And have been for over thirty years. A creative director for about half of them. During that time, I've been lucky enough to work at some of New York's best ad agencies. I helped create advertising for a lot of great clients - like Du Pont, IBM, Jaguar, JP Morgan, Merrill Lynch, Pfizer, UBS and The Wall Street Journal. In fact, I've done ads for everybody from the U.S. Army to Unisys. And on every product and service from Puff's Tissues to Pan Am. From ... well, you get the idea. Along the way, I won my share of awards. They seemed like a big deal at the time. Now they're someplace in my attic. What was a lot more important was what I learned. Which was how to create a competitive edge. I suppose I could write a book about it and sell it on Amazon. But I'm going to give you the formula for free. Competitive edge in five simple steps. You discover who your best potential customers might be. You figure out what they're looking for. You determine your company's strengths ... its advantages over the competition. most of your potential customers are looking for. You "position"
your company or product as best at giving them precisely that. Now that I've told you how, you could take a shot at creating a competitive edge yourself. I don't recommend it, though. Because if you're like most people in business, you'll find it just too weird to ask to your customers why they're your customers. And you're probably too close to your company or product to see its real strengths. Too busy to look, too. Then there's the creative part. Just as I'd advise against trying to take out your own appendix, my counsel is not to try to write your ads, your brochure, your sales letter or whatever yourself. It takes years of experience and no small amount of talent to be a good copywriter – the kind you'd want to represent your business. Besides you've got a business to run. Is trying to write your brochure yourself really the best use of your time? Do yourself a favor and hire a copywriter. Am I telling you that you also need to hire a big-time research outfit to find out what your customers want? An MBA to help you discover your company’s strengths? And a heavyweight copywriter to turn all that information into a sales message? No way. That would cost you an arm and a leg and take from now till Christmas. What I'm suggesting is that you hire just one person. One who can do everything it takes to help you gain a competitive edge. for clients of my own. I knew that my clients would be, for the most part, smaller than those I’d been working with at the big agencies. And that most of them wouldn't be able to afford the kind of in-depth research I'd been able to rely on in the past. I knew I'd have to come up with a way to make research relevant, fast and affordable for even the smallest client. I also knew that my ideas would have to work and work fast. Or pretty soon, I wouldn't have any clients. I hired Jon to create my latest sales letter. He did so with a creative ease and elegance that truly put a smile on my face and money in my pocket. Jon got inside my business and my head and crafted just about the best piece of wordsmithing I've ever witnessed. If Jon is writing for you, you've got a powerful marketing weapon. If Jon is writing against you, you don't have a chance. Jon is the best. He's willing to spend the time to get into the heads of your potential clients. Jon's letters have outperformed all other copywriters I have tried by 3 to 1. Working with Jon allowed me to further understand my service as well as create a compelling offer for my prospects. John W. Collins, CEO, UnCap, Inc.
At my place, Saunders Communications, we create ads, brochures, direct mail packages, editorial pieces, landing pages, online sales letters, news releases, radio and TV commercials, Web ads and Websites. But what we're really creating is a competitive edge for our clients. We’ve done that for some big companies like CA, CNN, General Dynamics, Merrill Lynch, Samsung, The Financial Times and Volvo. However, our greatest satisfaction has come from giving smaller companies an edge. We like to think that's helped our up-and-coming clients come up in the world a lot faster. One has become the leading source of golf instruction videos. Another is one of the fastest growing environmental contractors in the country. And still another is one of the Internet's top motivational DVD providers. All of them have one thing in common. Each one came to us for a single project. And, after they saw what a competitive edge could do for their businesses, they signed on as clients. Some of the best art directors, designers, programmers and marketing people around work with me at Saunders Communications. But you don't have to work with any of them if you don't want to. You can hire just me. You see, I set up the company so I'd be able to take on an occasional "solo project" whenever I came across one I wanted to do. After all, it is my company. So if you're already working with an art director or designer, I'll be happy to work with him or her. And if you happen to need one, remember I've got some of the best. A lot less than you're probably expecting. You see, I'm at the point in my life and my career where I don't have to make a killing off every project. Now, that doesn't mean I'm the lowest-price provider on the Internet. Just that my clients get cutting edge work based on sharp strategic thinking at prices that are ... well ... competitive. That alone will save you money. I'll start off by waiving the two hundred bucks I usually charge for an hour's consultation. That is, if you can get back to me right now - before I get busy again with work for my regular clients. If you do, I'll talk with you for an hour. For free. Of course, there's no obligation on your part. So shoot an email to jonsaunders@saunderswrites.com. Or call me at 203.987.3344. I'll call you at a time of your choosing. We can talk for an hour and it still won't cost you anything. Just use the form below to let me know how to contact you. But please do it now. P.S. Before you spend any money on a copywriter for your advertising ... your collateral ... your direct mail ... your Website ... let's talk. It won't cost you anything and it just might save you a bundle. Call me at 203.987.3344 or drop me an email at jonsaunders@saunderswrites.com right now. Still on the fence? Maybe hearing from a few more of the folks I've worked with will get you off it. Jon completely nailed how to position us and what differentiates our company and products from our competitors. His content brought out our value proposition in a way that we believe will be compelling to our customers. We saved time and money using Jon's services and I know visitors will actually read the content on our site. ... He writes words that work. Jon has done a wonderful job on our project. He has done everything we had hoped for and more. ... His advice has helped guide our marketing plan. Jon is very professional with experience to back up his recommendations. Jon's background as creative director and writer for top-tier New York ad agencies signaled to us that we would get marketing know-how and discipline with Fortune 100 client experience. ... Jon offered help in redefining our problem areas from a marketing/copywriting perspective – being very close to our service, it was handy having Jon to offer a fresh, outside perspective. ... I cannot emphasize enough the high degree of service and skill Jon Saunders provided our company. The response that we have received from our prospects is beyond our expectations. I strongly urge anyone who is considering Jon to use his services. He is a fabulous writer, who helped me clarify both my strategic positioning and my web structure. You can feel confident that Jon will put in the extra effort to give you exactly what you are looking for. Jon did an outstanding job for us. He's a superb writer who knows how to sell. I highly recommend him to anyone - except maybe a competitor. Rich Gerardy, CEO, First Texas Corp. This man can write, no matter how varied the subject matter or how technical. ... In addition to web content, Jon provided us with his expertise, guidance and useful suggestions ... He graciously made himself available by telephone and by email so that I could pick his brain and get his valuable input. ... Thank you so much Jon. For your patience and your expertise and much more, far beyond the project that you initially undertook. Honestly, you are the best! Jon was excellent to work with. The project was completed ahead of schedule but more importantly the quality of his work was outstanding. Two thumbs up for Jon! If you need someone to write a piece in the "direct marketing" mode or, for that matter any mode, Jon's your man. ... His prices are way, way below other high profile copywriters. ... The work was done ahead of schedule to boot. Amazing. Norman Hallet, CEO, Subconscious Training Corporation, Inc. I would need to hire Jon all over again to come up with the words to adequately describe the outstanding job he did for us. Though I don't intend to hire him for that, I will definitely be hiring him again. If you're even thinking about it, I would suggest you do the same. P.P.S. There are plenty more where these came from. Of course, if you're the suspicious sort, you may suspect I wrote them all myself. Well, I didn't but if you are the least bit skeptical, let me know and I'll put you in touch with any of my clients.